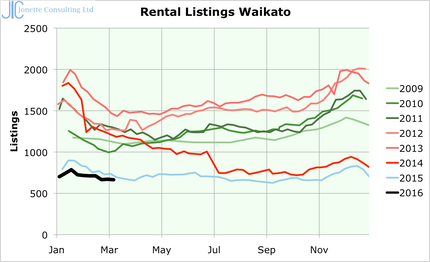 Waikato rental listings are almost exactly the same as last year, so the migration there has not grown anymore, but is still on-going. 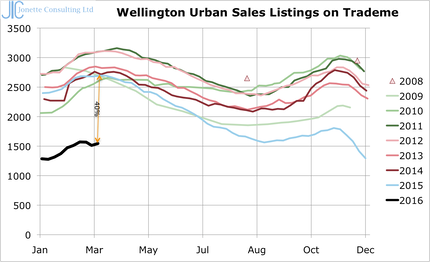 Rental listings in the central Urban area of Wellington are about 40% down also, or 400 homes less than normal. 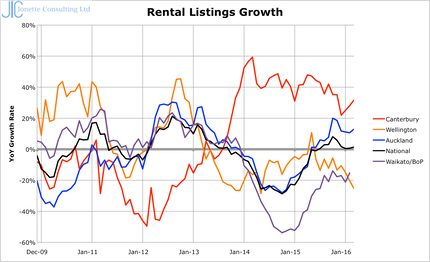 �This will be putting pressure on rental prices. 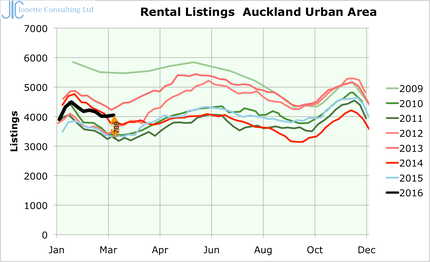 Auckland rental listings are now normal, and suggest that there is no longer a shortage of homes in Auckland. �That means the current rush to build homes will result in an oversupply, pushing prices down. 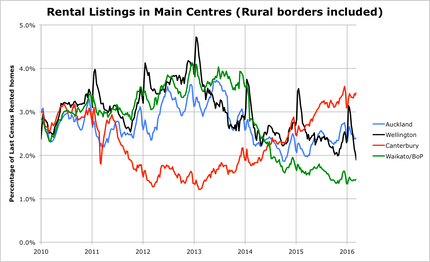 �As is now happening in Christchurch after government intervention in the market. 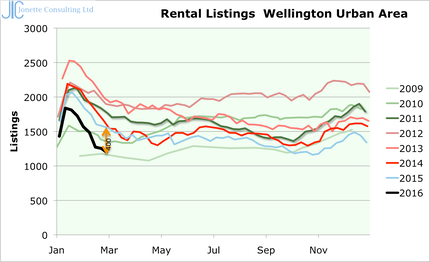 The rental market as a whole is very different in each region. 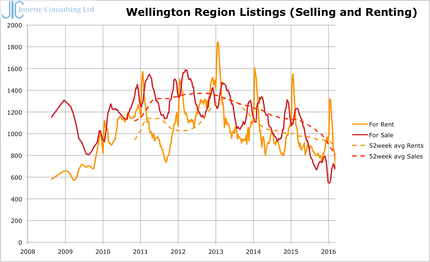 In summary, the ratio of rental listings to rental numbers should be about 2.5% in NZ, but after lots of government intervention, we now have different markets in each city, with only Auckland about right, Christchurch in deep trouble potentially leading to collapse, Wellington dropping at a fast rate, but already below average at 2% and Waikato/BoP really short of rental properties.